Storage is that need of a house which gets bigger and bigger with the increasing size of your family. When you have babies you also have a messy house with their toys scattered all around. 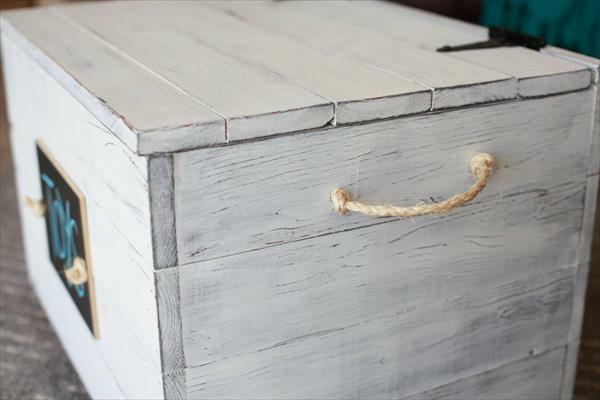 So we have this shabby chic DIY pallet toy box/ pallet chest for such parents which they can easily copy at home to get all the toys stored at one safe place. 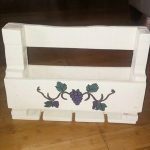 The box can also be used to hold the blankets, pillow covers and the bed sheets and thus would suit a kid’s room and bedrooms equally. 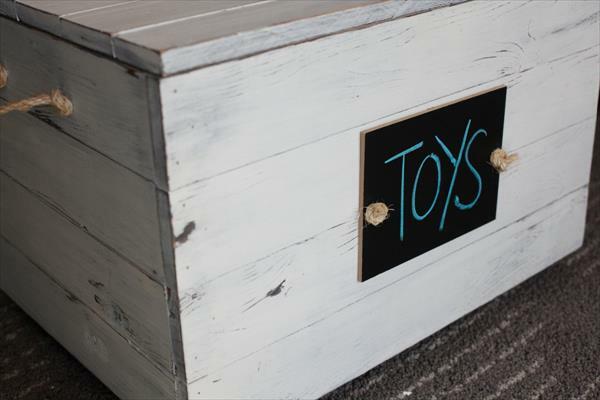 This cute looking toy box flaunts many clever features to attract more and persons to possess it like a vintage beauty look, great storage space, and a chalk board at the front, wheels at feet for easy mobility and rope handles. 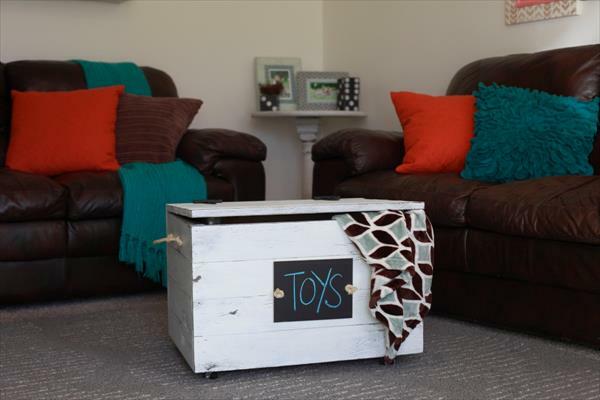 The whole structure of the toy box has been engineered from the planks of pallet which have been packed quite nicely to each other. 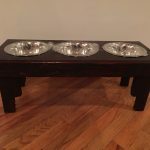 White stain finish makes it really look chic and dazzling for all decor types.